It's time to confess and share your thoughts on Thursday, so grab the button, write and come back here to link up. 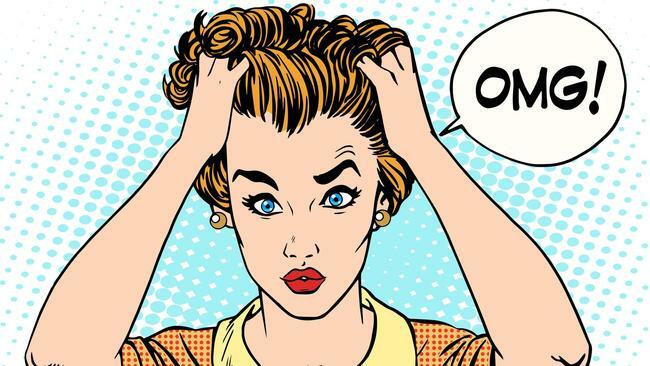 - I have been working at my place of employment for 10 1/2 years and in these 10 1/2 years, I have never been this stressed out over a case, let alone 2 cases. Without going into much detail (since I can't), the one case that comes to be on Tuesday deals with legal issues. Not only do I have to educate myself on Nevada law, but Federal law. Do you ever get the gut wrenching feeling at night when work stress won't let your brain shut off. Yep, that is me. Please send positive thoughts to me on Tuesday. I am going to need it. Plus a huge coffee in the morning and maybe a cocktail after work. 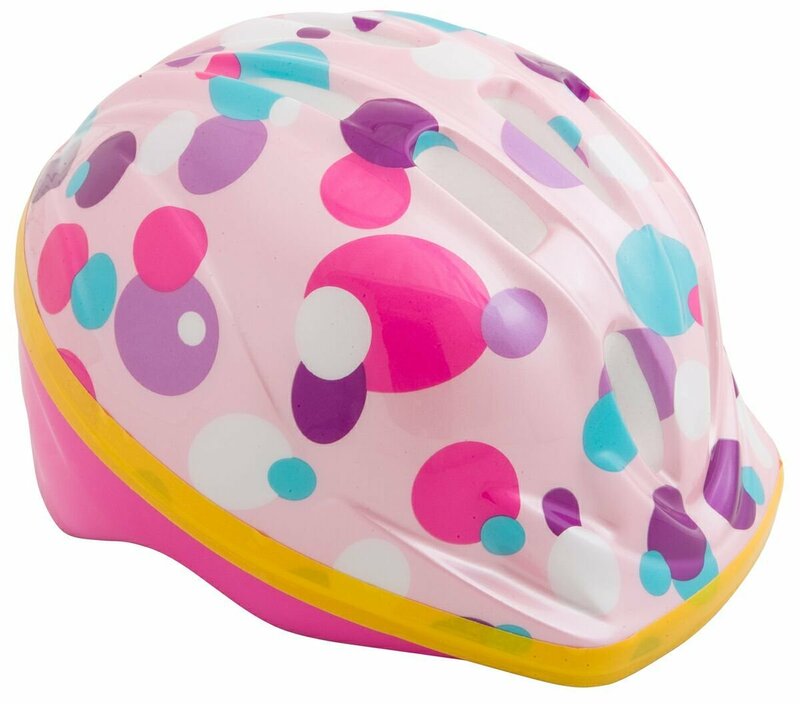 - I need some suggestions on bike helmets for toddlers. Which ones do your kids have? 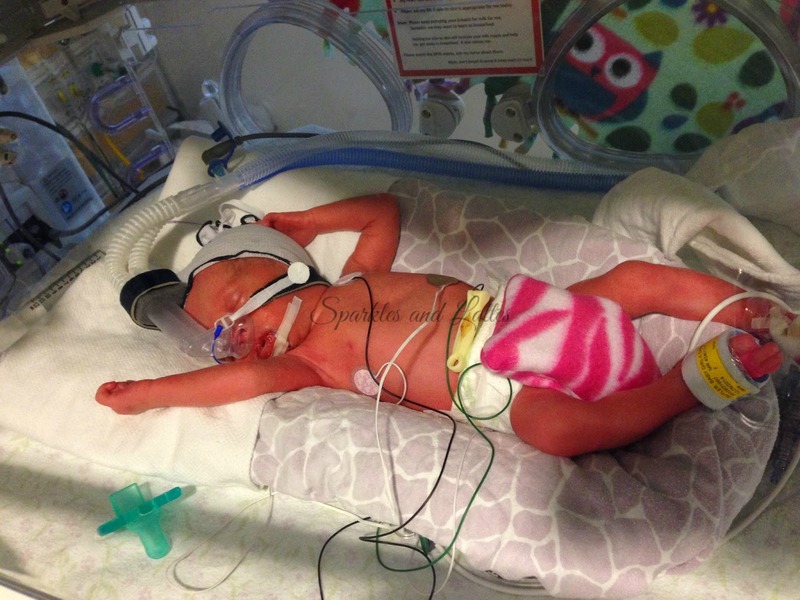 I sold some items on a baby swap online and I want to use the money to buy the girls helmets for their strider balance bikes. - I keep hearing rumors about the anniversary iPhone and I hope they are all true. I also hope that the new phone will come out in September or October. I am jealous of all the 7 plus phones out there. - How is it going to be May on Monday? I feel like we just started the year and we are already rolling into May. I am hoping May brings nice weather here. - So I got my hair done Tuesday and I love it. I took off about an inch and a half and had my color redone. My stylist always gets my hair so full of volume and always makes it look amazing. It is soft, but still has volume and it smells heavenly. Why can't I mimic that? - In April 2013, I started this blog. I didn't write much in it and I used it to keep a diary of my life and didn't put much effort into it. Then I started to write more when I was engaged and then it really took off when I was trying to get pregnant. I just can't believe I have been doing this for four years. I only wish I had put this much effort into it before. Which brings me to my next thought. 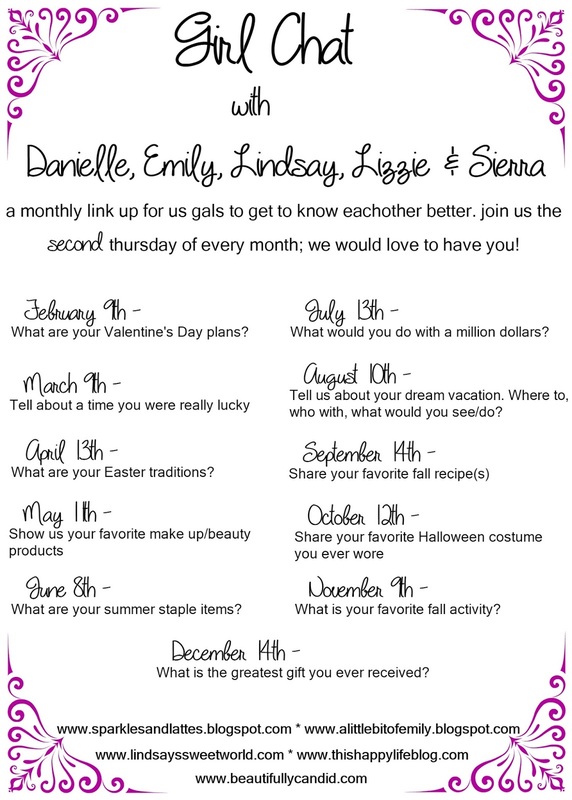 I am thinking of hosting a giveaway for my 4th blogiversary and I wanted to get feelers out there if anyone wants to participate in it. I am not good at doing this, so I need some guidance, but I want to grow my blog and social media and help others do the same. 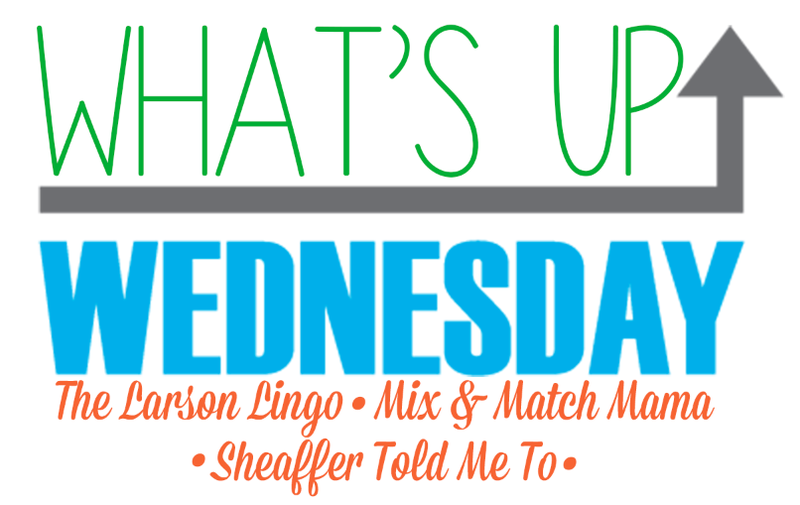 It has been awhile since I participated in a What's Up Wednesday and I finally got a prompt to do it before I wrote my other scheduled post out. Well this is an off week in that we have a lot of appointments between Rory and I after work. But I am managing to cook a bit this week. Tuesday: I had a hair appointment, so I picked up dinner on the way home. Thursday: Rory has an early softball game, so a salad for me and a burger after his game with his teammates for him. My friend's wedding last year. This Sunday they celebrate their one year anniversary. 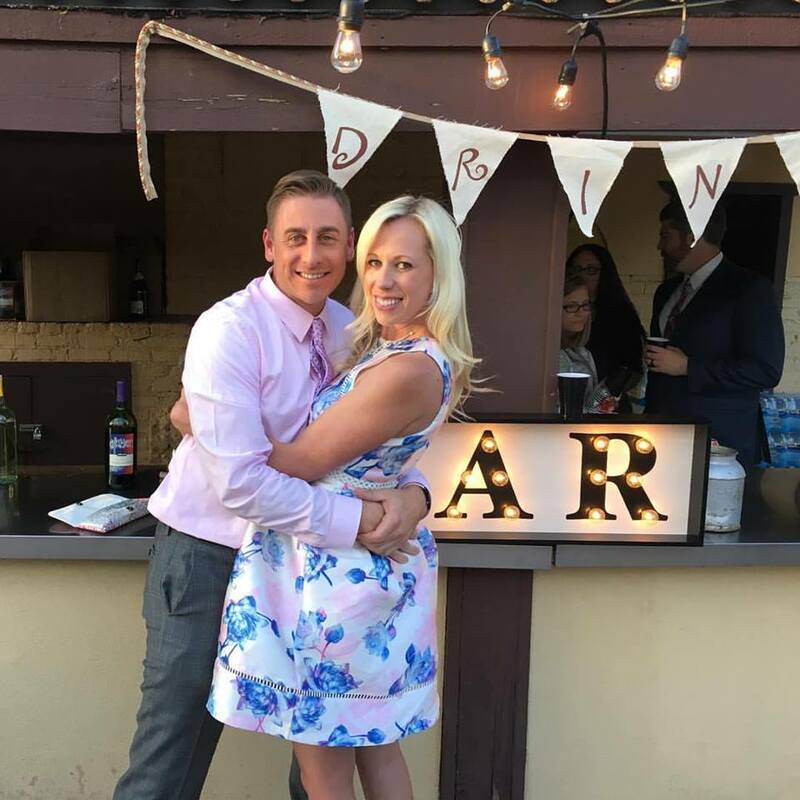 Love this couple and the love they share for each other. Finding new Rose wines that I can have in the Spring and Summer, evening family walks, seeing my nephew, my new Toyota Highlander and so much more. Work has been crazy lately, so I have been going full force there which means a bit has been taken home too. We have been spending time outside when it is warm, but Spring weather is very bipolar here. My two big work meetings. One is next Tuesday and the other is in July. I have some crazy things on the agenda and it has been causing a lot of stress lately. While I am dreading them, it will be good for them to be off of my plate. 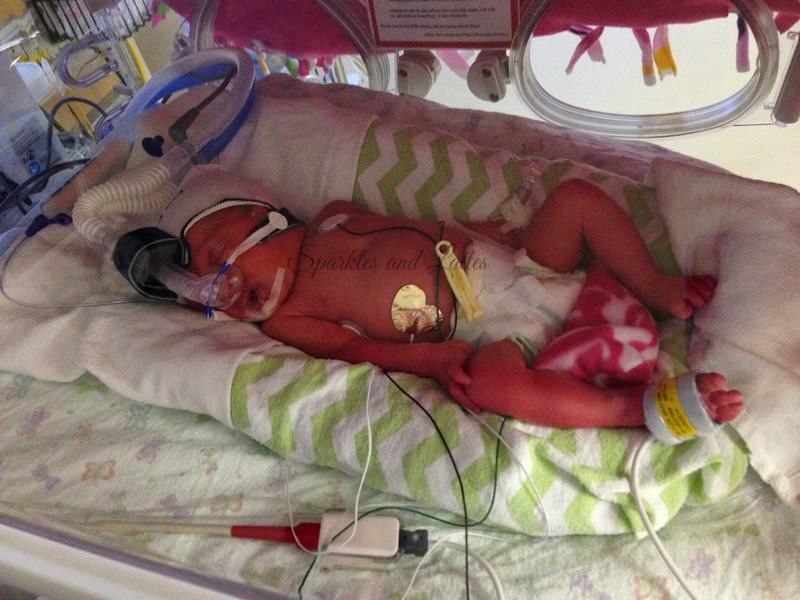 As I mentioned in the dreading part, it is also what I have been up to lately. It also means that I travel to Vegas for both of those meetings. At least there is a bit of a silver lining there. I am also working on some Spring cleaning in the house. 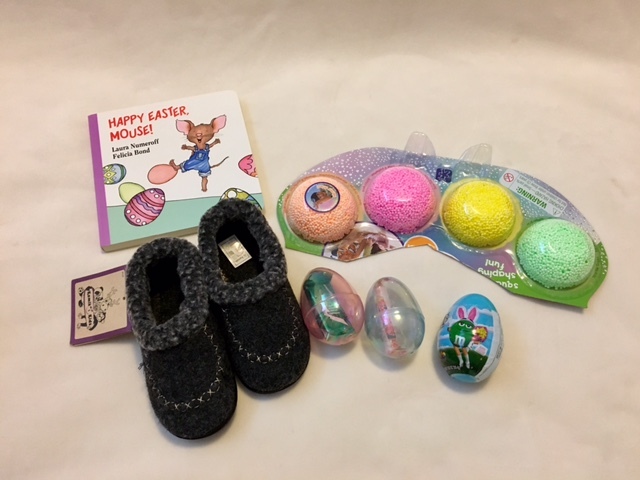 I have been going through the girls' stuff and selling things online along with prepping, tagging and setting things aside for the next consignment sale. Our camping trip and our two Graeagle trips. I look forward to them each year and this year is no different. Our first camping trip is over Memorial Day weekend with my family and then the following weekend we are spending a long weekend in Graeagle. Our week long trip to Graeagle isn't until August though. 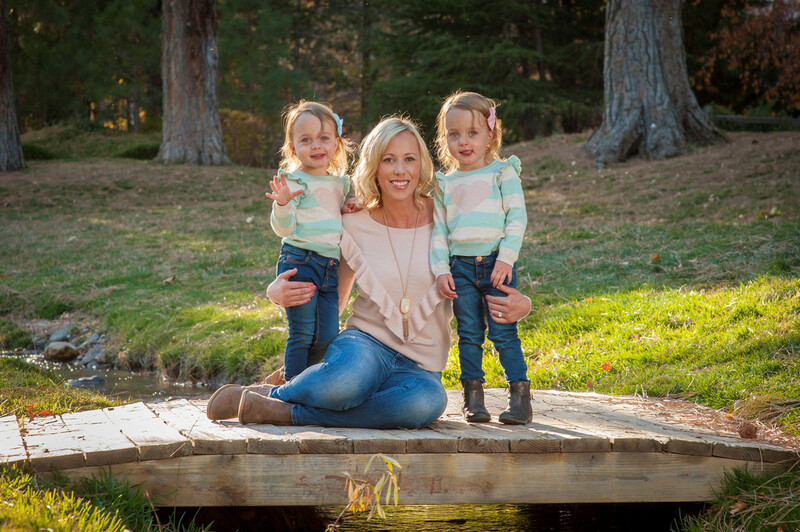 I am also excited to see my girlfriends and their kids next week at my friend's daughters second birthday party. I am braving it alone with my girls and have high hopes they will play with all the other kids while mommy has a glass of wine with her girlfriends. I am reading All the Missing Girls which was recommended to me by Biana from B Loved Boston (I think). I am watching Prison Break, Better Call Saul, Fargo, Parenthood and Grey's Anatomy. Mostly my favorite stations on Sirius XM. I used to have it for the first two years that I had my Subaru, but then they upped the price so much that I got rid of it. Now that I have my new SUV, I have a free three months of it, so I am enjoying it while I can before I will cancel it again. I am loving Ed Sheeran's new album, the Chainsmokers and some classic Justin Timberlake right now. 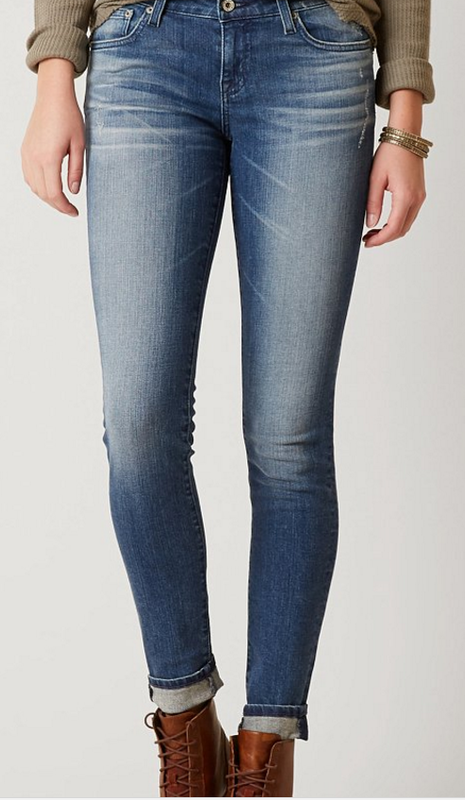 I have been on the hunt for new jeans for awhile now. I never buy myself jeans, but since I have been running a lot lately, I knew I needed something. I scoped some jeans out online, but needed to try them on first. When I went to Buckle, they didn't have any of the jeans I saw online, but I tried on a few others and fell in love with these ones. They feel so soft, comfy, form fitting and are long enough. What I don't like is the price. Ouch, but well worth it to feel this good in jeans. I have also been scooping up anything with pineapples on it, some basic tees from Nordstrom (and here). I can't wait to wear shorts and dresses all weekend, but we are still teetering between blizzards and sunshine on the daily. Not much at all. I am mostly hanging out with the girls while my husband attends the Spring football game and "lays" dg in the backyard on Sunday. I am hoping to escape for a brunch Sunday morning. A quick trip to Vegas, camping, going to Lake Tahoe for the first time this year and brunches with my best friends. - My girls are mimicking everything. We listen to the Colin Coherd show on the way home from work most evenings. Gotta get our sports updates and there is a part where someone says "Whhhaaattt" and my girls say it right after him every time. They love copying everything we say and do right now. - We measured the girls recently and they are just over 36 inches. I can't believe how tall they are! WHAT IS YOUR FAVORITE SPRING/SUMMER SHOE? 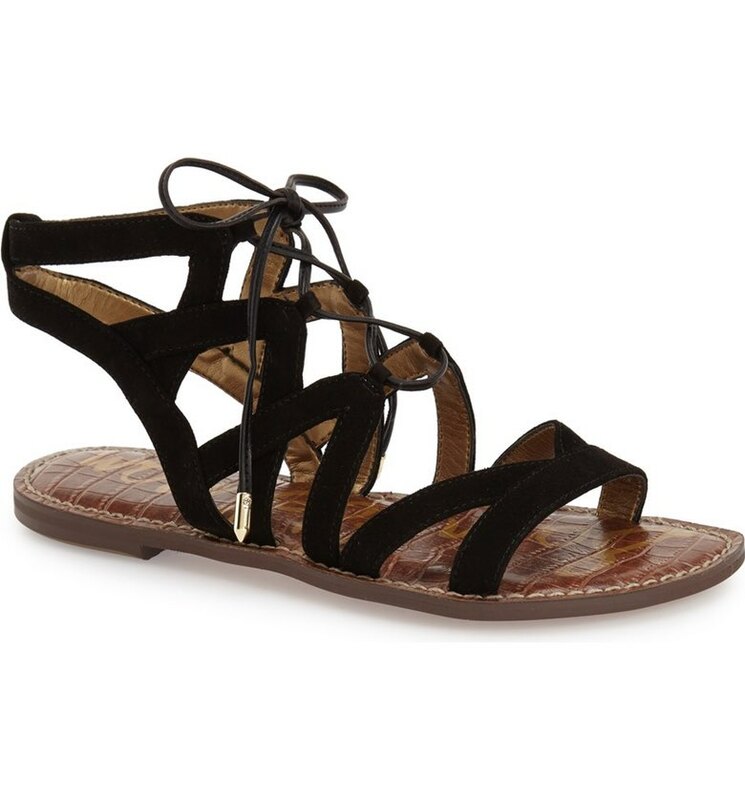 I am really loving t-strap and lace up sandals. 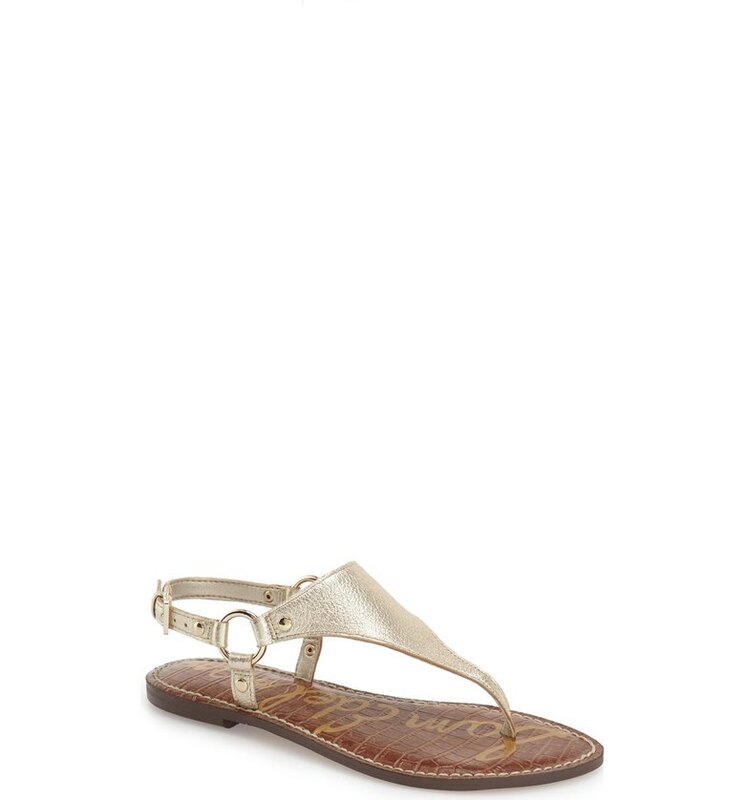 They go with most of my Spring and Summer attire and stay on my feet. I am still loving my Dolce Vita wedges from last year. They have already made a few appearances lately. I am so late posting about our weekend. I didn't manage to get many photos, but we did manage to do a lot around the house. Friday after work, I headed to lunch with some of my co-workers. We were celebrating one of the ladies birthdays and it has become a new tradition to go to lunch for their birthday. So we had some amazing Thai food and then we headed back to work for about half hour before I left to go pick up the girls. Once I had the girls, we headed over to a donut shop to meet someone to sell the girls' baby gate. Once that was done, Sutton was asking for a donut, so we went through the drive thru and got her a cake donut. Avery didn't want a donut, only crackers. Girl loves her crackers. Once we got home, the girls had some snacks and then we played until Rory got home from his appointment. We played some more before taking a walk and then I headed off to dinner with a friend. We went to this amazing restaurant and got the best chioppino in town, but unfortunately there must have been a bad piece of seafood in mine because I got sick. I felt sick all weekend and I am finally feeling better. Ugh. So after dinner, I came home and went to bed. Saturday morning we went to breakfast and then headed over to the mall to let the girls burn some energy off and so we could grab a few things that we needed. You may have seen my IG posts of the girls on the slides. They usually aren't that into the slide, but I guess practice at daycare has been helping. The girls had the playground to themselves for thirty minutes. After the mall, we headed home since it was close to nap time. While the girls napped, we did some things around the house. Once their naps were over, we went for a walk. At 6 pm, my father in law came over to watch the girls, so Rory and I could head out on date night. I was nervous with how upset my stomach was, but we managed to have a good time and some good Italian food. We went to a new to us restaurant where we had shrimp ceviche Italian style, a shared Caesar salad, pasta dishes for each of us and then a tart dessert. Dinner was amazing, but my stomach got the best of me. Once we were home and my father in law left, I tried to stay up to watch the rest of Fargo, but my stomach was in knots again, so I headed to bed. Sunday morning we made pancakes, bacon and coffee for breakfast and the girls really liked it. I only had coffee and a piece of bacon. It was all my stomach could handle. My in-laws came over at 10 am and took the girls for a walk, so we decided to head out to run errands. We went to Target, Home Depot, Total Wine and then to lunch. When Rory said he wanted poke bowls for lunch, I wasn't sure how my stomach would do. But we had them and they were pretty good. Only minor stomach aches from it. We came home and the girls were just getting ready to go down for their naps, so we helped clean up and put them down. Once they were down, I headed out to Petco and the grocery store. Once I got back, the girls were playing outside while Rory did yardwork. We got settled in and then went on another walk. Once we were home, it was time to make the girls dinner, bathe them and get ready for the week ahead. I also started prepping dinner which was spicy meatball subs. You may have seen my IG stories about it. So good. We watched the rest of Fargo and a few other shows we needed to catch up on before going to bed. Monday morning I woke up to a migraine and I knew I needed to give myself a break and so I stayed home and cuddled Walter all day. Have you ever been sick from seafood? It wrecked havoc on my body all weekend. Ugh. But now I am better and back at work. How was your weekend? We made it through another week. On Wednesday, I swore it was Thursday. I even told my boss that we didn't have time last night to watch the season premiere of Fargo because kids, and then he proceeded to tell me it was only Wednesday and it was on tonight. Ugh. I was so out of it. We don't have much planned this weekend and that is nice. We have some good weather headed our way and hopes of spending a lot of time outside. Anyways, onto my Friday favorites. ONE. I saw this funny and I couldn't stop laughing. 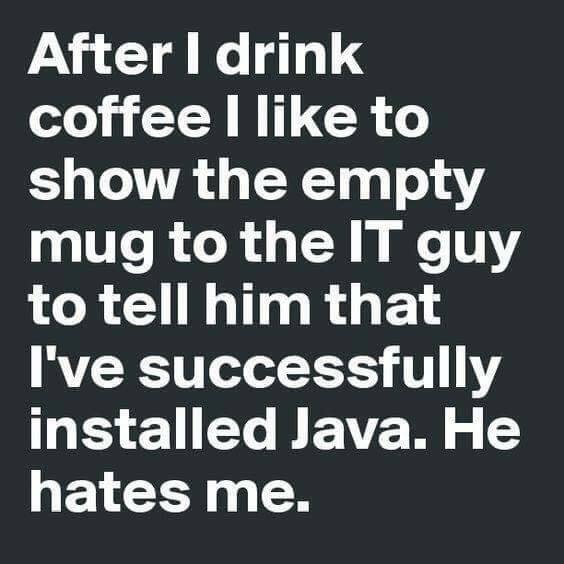 One, because I LOVE my coffee and sharing with my co-workers how much I drank and two, because I have been that IT guy and hated those types of jokes. But now I love them. TWO. Earth Day. Our city has a huge celebration for Earth Day and it is at the park that is about a 10 minute walk from our house. With the weather being so nice this weekend, I hope to take the girls down there and enjoy the festivities. THREE. 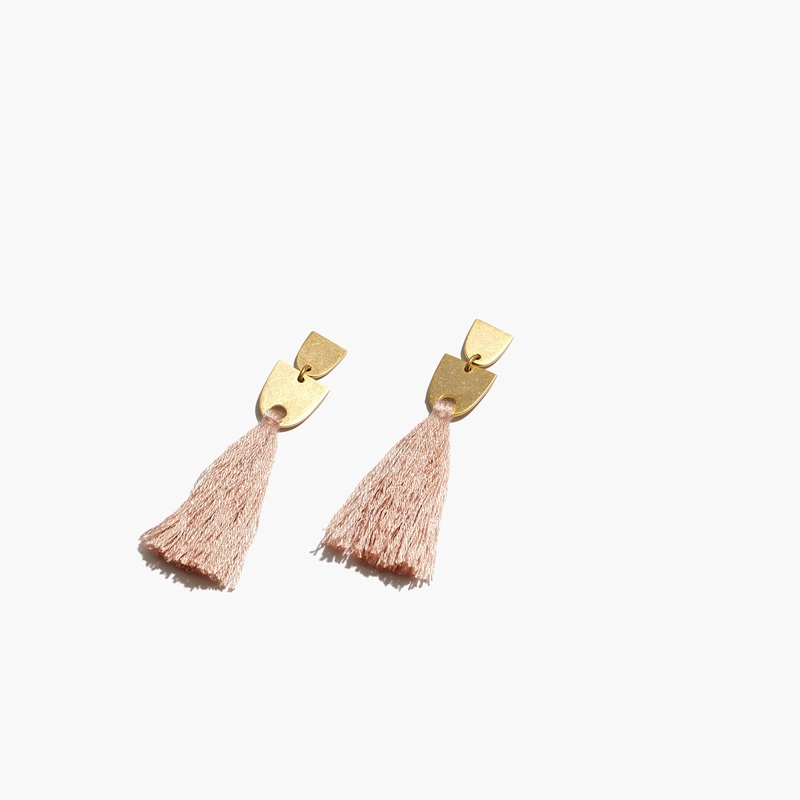 Did any of you happen to shop at the Mindy Mae's Market sale on Tuesday? Everything was on sale and went sooo fast. I had a few pairs of shoes that I have been wanting forever, but they sold out in my size in seconds and believe me, I was on right at 10 am. I did manage to get the dress that I wanted which will be perfect for Spring and Summer. I limited myself from getting much else because new car payment. FOUR. One of my friends posted shared two videos this week and I found them so funny. It is kids reactions to Nirvana and AC DC. While I laughed the whole way through, I also cringed a bit knowing my kids are going to think and say the same things with my music which includes these bands. I grew up listening to bands like AC DC and Pink Floyd because my dad loved them and now I loved them. Then I got into middle school and high school and bands like Nirvana, Sublime and Incubus became my favorites. I LOVE their music and seeing the reactions that kids have are too funny. "He sounds angry." "Why would you eat your cancer? What does that even mean?" Do yourself a favor, when you have time, watch some of these. 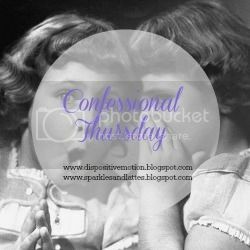 It's time for some confessions and thoughts on Thursday, so sit back, read, enjoy and come back to link up. - I really need to make a new button for Thursday Talk/Confessions, but I haven't gotten around to it. I don't know why really. I guess I would call it laziness. - I am about to finish the last episode of 13 Reasons Why at the gym today and I am sad that it will be over. I am also scared that I may cry while running. Probably not the best choice of a venue to watch it, but I love catching up on my shows at the gym. Have you watched it yet? Thoughts? - Today is 4/20 which is the anniversary of Columbine. I hate bringing up another awful event, but that day changed me. I was in high school when it happened and I remember subsequent years having pipe bomb scares on 4/20. I am soooo paranoid on 4/20. 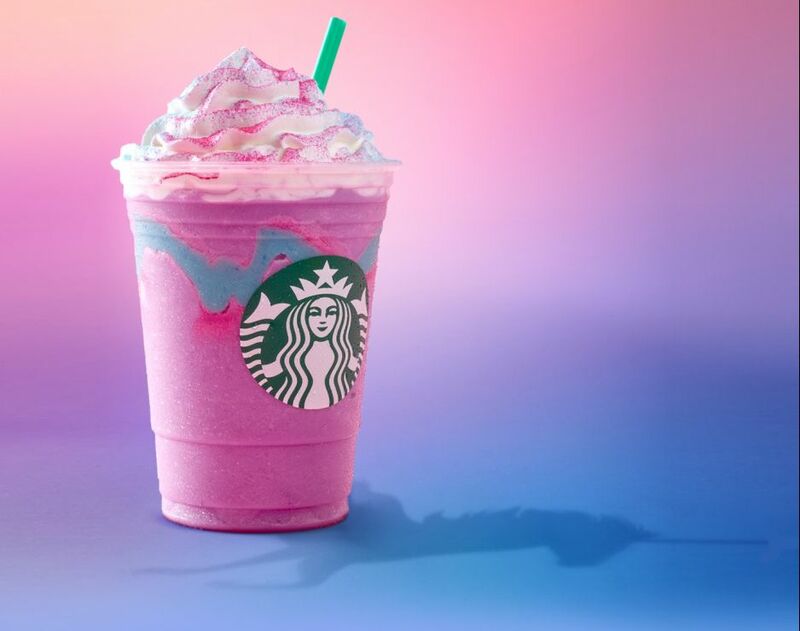 - I went to Starbucks yesterday morning and I saw that they had the new Unicorn Frap and didn't get it. I didn't think it would taste good and I wanted a caramel macchiato, but I am sadly missing the typical Instagram photo. - I hate how my girls' daycare has dirt in the playground. My girls love to crawl in it, sit in it and play in it. This means they are always dirty when we pick them up and often have a shoe full of sand each evening. I wish they had grass or something else in the playground area. Ugh. - I hate bath time for my girls. It used to be fun, then it wasn't, then it was and so on. Right now we are not in that fun stage. Well I should say that it is partially fun and then a bunch of screaming. My girls hate having their hair wet and getting it washed. They even freaked out when my nephew got water in their hair while he was taking bath. 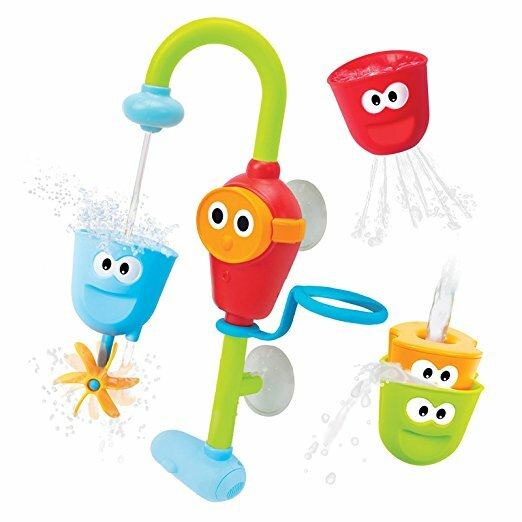 Another twin mom recommended this toy and it has been a godsend for us lately until it is time to wash the hair. They don't mind their bodies being washed, but hair, nope. Ugh. Any recommendations on how to get them to like it? - We didn't color/dye eggs this year because I worried about my girls spilling all over my table even with the use of whisks. Plus after they didn't care for the egg hunt on Friday, I didn't think they would really enjoy it. But we will do it next year for sure. But I am totally ok with skipping it this year other than getting that one cute photo. 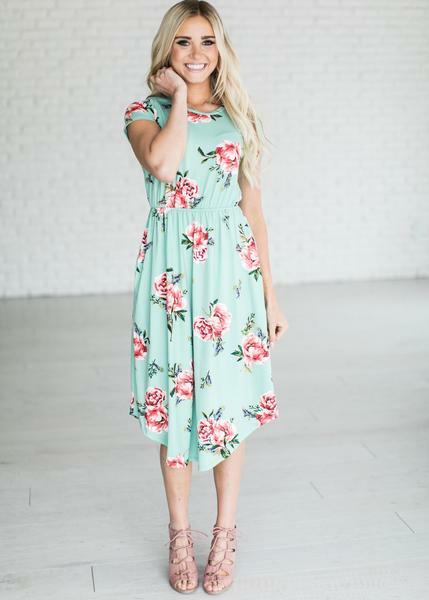 - I really need some Spring colors and clothes because I didn't have anything bright and fun to wear for Easter that I haven't worn a billion times. Man, do I wish I could win the lottery and buy all the things. - I am loving my new car soooo much, but I am dreading making my first payment. Ugh. Today we are going to take about Part 2 of our car shopping experience. 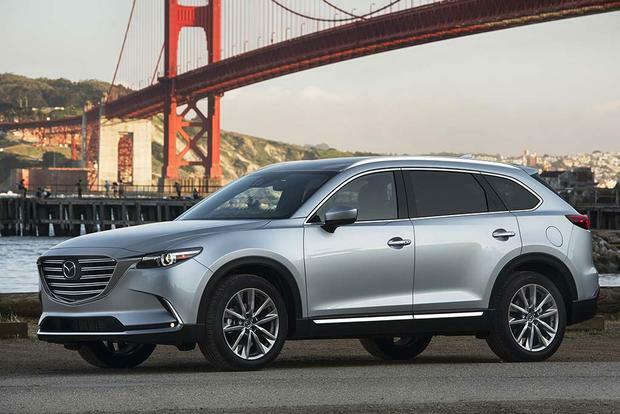 More specifically the Mazda CX-9 and the Toyota Highland and Rav 4. We had considered other SUVs, but something always came up that stopped us from looking at them. Maybe it was the miles per gallon, the rating, the price, etc. We also thought about looking at the Hyundai Santa Fe, GMC Denali and Ford Edge, but in the end did not. The Mazda wasn't even on my radar, but it was definitely on my husband's. He got a hold of his dad's (with permission) Consumer Reports account and started reviewing all SUVs. He looked at everything. He looked at the sizes of each of the vehicles we were looking at, the safety standards, the ratings and compared all features. I didn't know much about Mazda's, but had never even thought of purchasing one. But I told him we could test drive one. PROS: Turbo engine, sport mode for targeted use of the turbo, hologram feature about the steering wheel on the window that shows your speed, lane departure, speed limit and navigation. 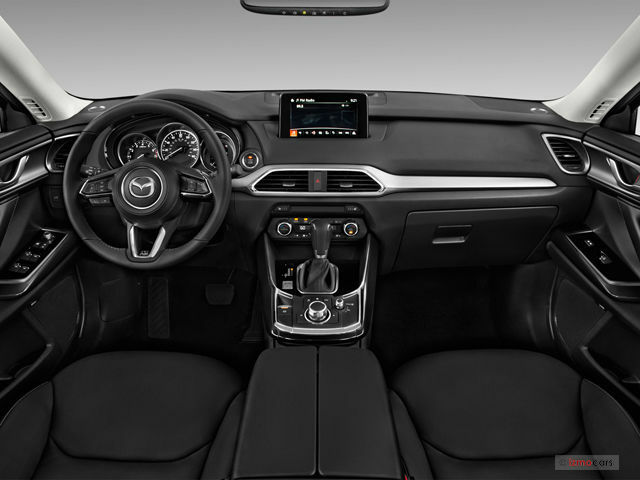 It also has bigger wheels, chrome styling on the outside, LED head and tail lights, rain sensing windshield wipers, Bose sound system, rear seat retractable window shield, adaptive cruise control, lane departure warning, heated seats, keyless start and cross traffic alerts. CONS: Aggressive front end (my husband loved this and I didn't. Maybe it's more manly this way), afraid the turbo would highly decrease the MPG that is stated and it did not have ApplePlay or any of those options that almost all other SUVs had. PROS: The Toyota name. My husband drives a Tundra and we love how well they hold their values and the quality of them. 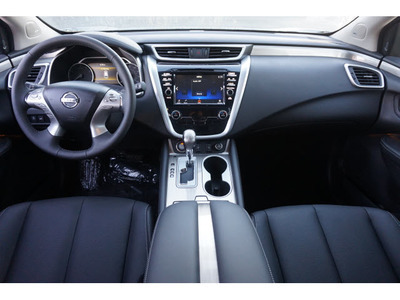 It has LED headlights, a rear spoiler, front and rear parking sonar (makes sure you don't run into things), sunroof, eco and sport modes, lane departure, automatic high beams, automated cruise control, and blind spot monitoring. MPG: 28/22 (which seems low for a crossover/compact SUV. CONS: It has lower gas mileage for its size and not much bigger than my Subaru Legacy. PROS: Again, the Toyota name and quality came into play. At first, we thought this might be too big for us, but then after getting inside of it, it was a great size. 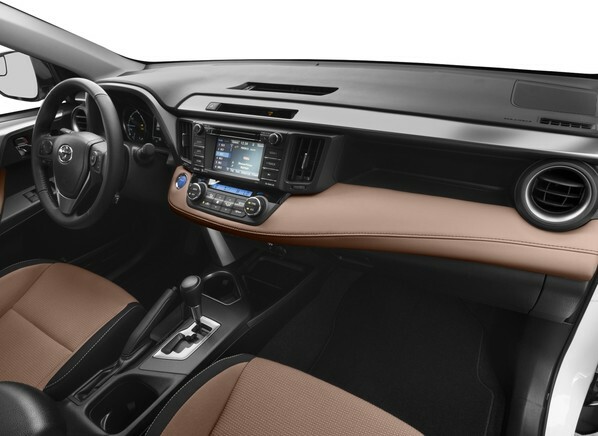 It has all the qualities of the Rav4, but heated and cooling seats in the front, ventilated seats on all rows, three rows of seats, better sound system and captains chairs in the second row. These captains chairs have an opening in between them so that kids can walk through to get to the back or move the seat forward. You don't lose the center console area as one folds out and allows for two drinks and a tray area. It also has the rear window shields, roof rack and Toyota all weather floor mats. CONS: The Toyota Entune program has glitches and it did not come with a cargo cover as other models with the same trim did. Ultimately, I loved the Highlander after the first time I test drove it. 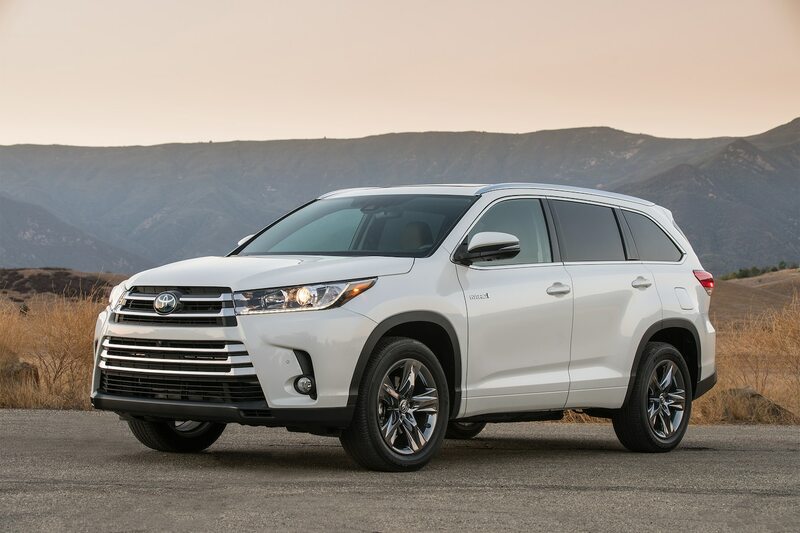 It was rated #1 or #2 on almost all mid-size SUV sites and it is built to last. I had a Toyota Tacoma in high school and college and I LOVED that thing. It held its value very well. When I bought it, I got a great deal and then I sold it about 8 years later and made $500 more than I bought it for. Total win. So now we are a Toyota family. If I had to rank the mid-size SUVs (so not the Rav4 or the CR-V) in my preferences, I would go with the Highlander, tie between the Nissan Murano and Honda Pilot and then the Mazda CX-9. I hope this helped if you are in the market for a SUV or maybe are thinking about one for your future. Car shopping is the worst unless you have all the money in the world and can get exactly what you want and not care how much it costs. But let's be real here, I am not in that position, so we spent weeks and weeks car shopping. Anytime we could get someone to watch the girls, we went car shopping. We even went on Fridays right after work and picked the girls up at daycare at 5 pm instead of 2 pm because we needed more time. Instead of date nights or days, we went car shopping. It became a chore, but we wanted to see all of our options. We went back to some dealerships two or three times before making our final decision. I am going to go through the pros and cons of each car that we test drove, so I can give you a better idea of what is out there and how it fit into my family. Now just because we didn't like something, doesn't mean you won't like it. I just want to share my thoughts to help you out so when you car shop maybe you don't have to go to as many places as we did. I am not going in the order of when we test drove these because we started off with smaller SUVs and realized we needed something bigger for long term. Also, note that I wanted a car that was all wheel drive. Lots of these come in both front wheel or all wheel drive. Let's start out with Honda. 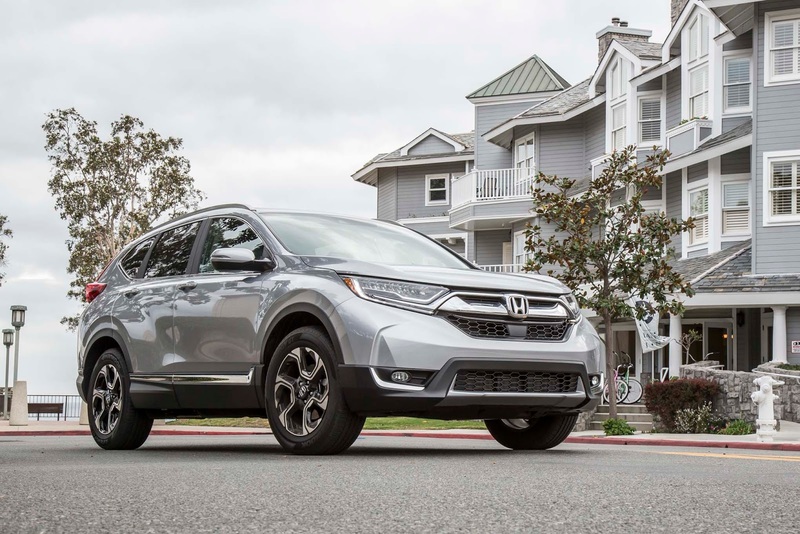 We test drove the CR-V and the Pilot, but at different times and at different dealerships. PROS: This smaller SUV has newly been redesigned for 2017 and it had all the bells and whistles. Lane departure notification via vibration and moving you back into the lane. 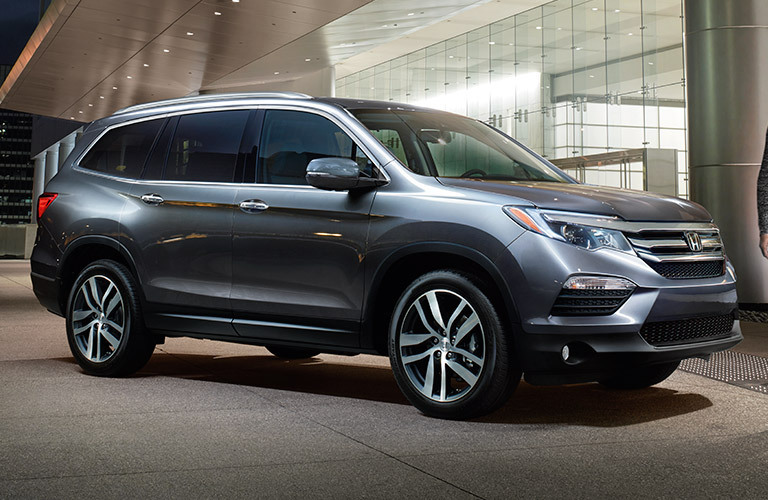 Adaptive cruise control, LED headlights, rain sensing windshield wipers, hands free tailgate lift, bigger tires, upgraded sound system, the latest and best safety features, priced right at $33,000 for what we were looking for, heated seats, the styling and Honda sensing system. The MPG ranged from 26 to 32. CONS: I didn't like the placement of the shifter. It felt weird being so high. It was almost the same size as my Subaru, so it didn't make sense to purchase it when we were looking for more room for the future. 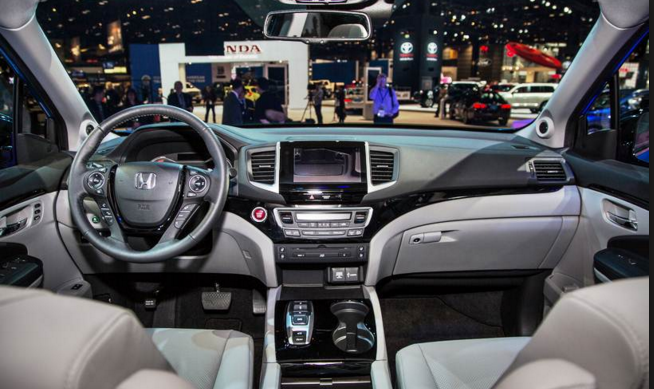 Not much room to negotiate on price since the supply is low on Honda's, but the demand is higher. PROS: Big SUV, lots of room between the second and third rows (big enough for an adult), seats in the third row fold down completely, back bench area (you can flip a piece in the back right by the tailgate for a harder surface, ideal for tailgating), DVD system for kids, heated seats, wide windshield, Honda sensing system, blind spot indicator, when you put on the blinker it shows you on an image on the display screen of what is beside you for better parking and to not hit the person next to you, power tailgate, captain chairs in the second row, three zones of heating and cooling and a big moon roof. 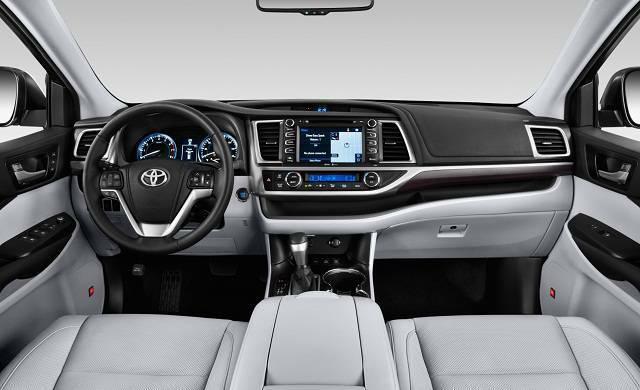 CONS: There is a plastic compartment between the captains chairs that kids would step on to get to the back if they didn't use the method of moving the seats forward, buttons for shifting into different gears, not as styling as the new CR-V, price of $47,000 for what we wanted (ie the Touring or above). 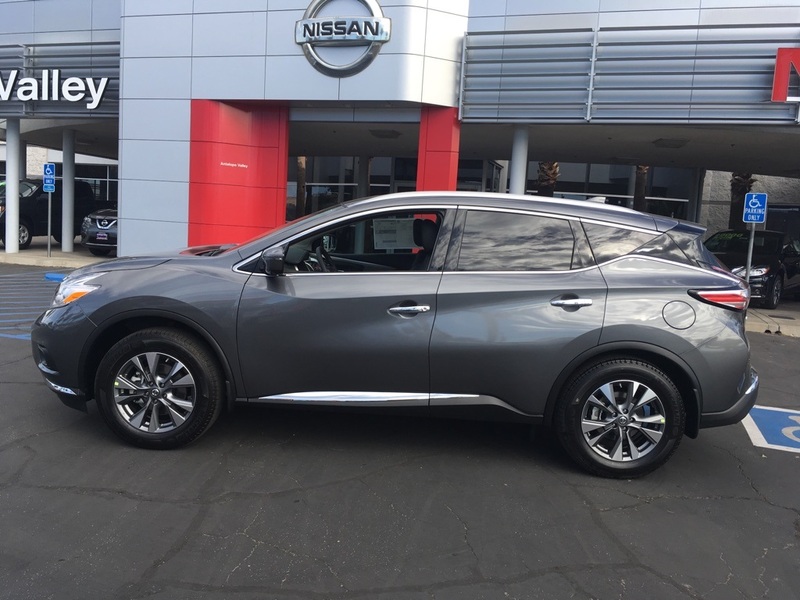 Next, we will move to the Nissan Murano. PROS: By far the comfiest seats we experienced. 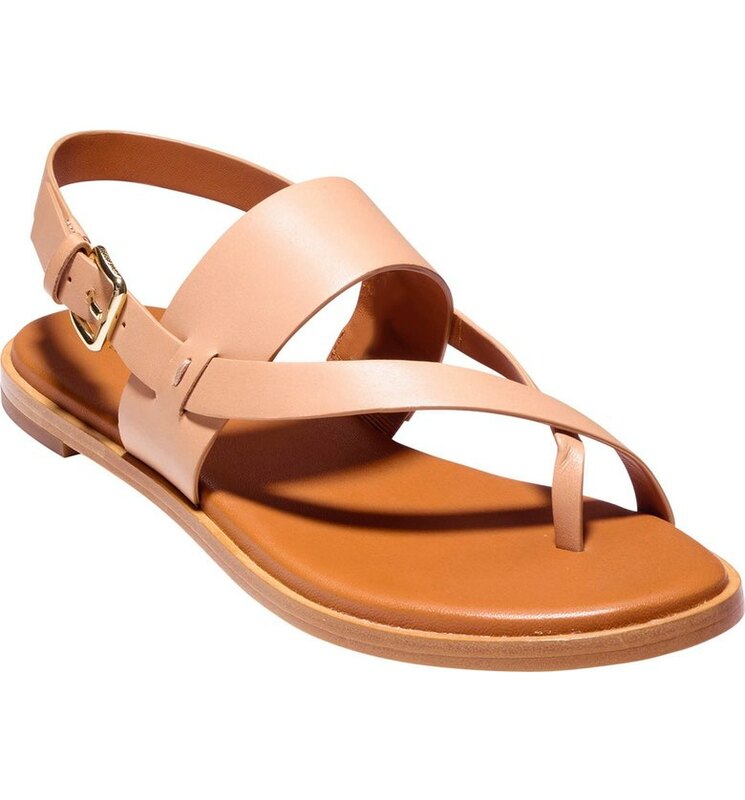 They were the softest leather and comfy to sit in for long periods of time. We loved the look of the Murano, the smart shifting for no jerking feeling when accelerating, vehicle speed sensitivity (more nibble while at low speeds and more rigid at faster speeds), LED running and tail lights, power lift gate, heated seats, Bose sound system, 360 camera images of the car for parking and backing up, full curtain airbags, great looks, huge moon roof and blind spot warning. CONS: The very back windows are so small, so the sight lines are difficult in the back. We also didn't like the wood paneling in the car as much. It was ok in the gray version, but almond and brown (brown was awful) looked cheap. The engine didn't seem to get up and go as fast as others did and it did not have a third row seat option. 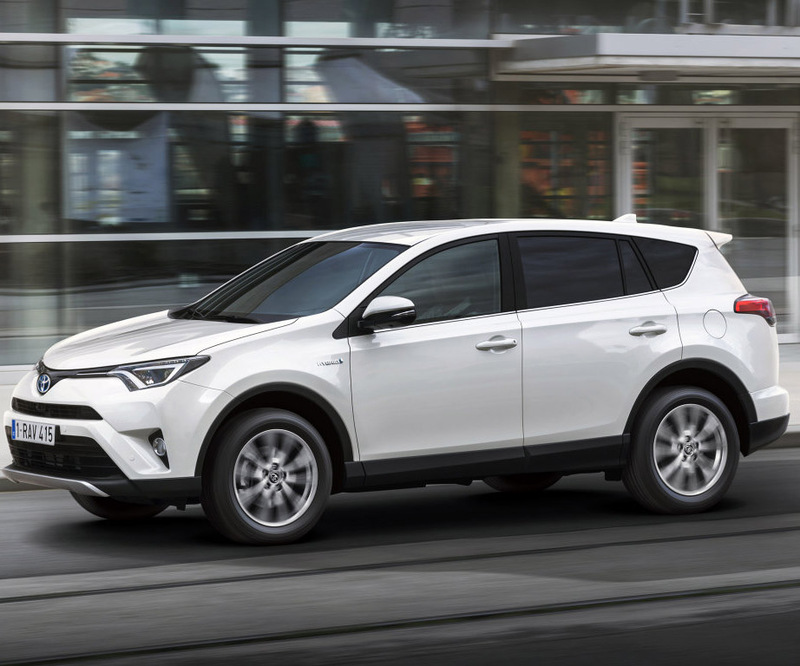 I am going to break this into two posts as this one is getting long and I still want to profile the Mazda CX-9 and the Toyota Highlander and Rav 4. So stay tuned for part 2. What an Easter weekend. Between all the time with family and some friend time, it was such a fun weekend. Definitely one to remember. Friday after work, we grabbed a quick sandwich and then picked the girls up from daycare as they were having an Easter festival at the other location and we needed to pick up our children by noon. Since we had an hour to kill before going to the other center, we took a drive, got some gas and some cookies from a local bakery. Then we headed over to the center and checked the girls in. They were not into the bounce houses which was weird since they loved them last time they went in them. We ate our cookies and waited for the egg hunt to start. The girls got really scared of the Easter bunny and wouldn't even go near him. So we didn't get a photo with the bunny again. Ugh. The girls were not into the egg hunt much. I don't think they really knew what to do. Once they let us put them down, Sutton grabbed a few eggs and Rory had to grab some for Avery. The girls did love opening the eggs and eating all the candy. After the egg hunt, the girls played in the playground while we watched. After the festival, we made a quick stop at the store for diapers since I forgot to grab some from daycare and then headed to my parents house to hang out and have dinner. We ended up playing in my parents backyard most of the afternoon before settling down for short ribs, rice, blistered green beans and pasta salad. Everything was sooo good and I will be making the short ribs very soon. Dinner was a huge hit for the girls. We watched Sing while dinner was being finished and it is just sooo cute. I can totally see how adults get hooked on kids movies. I can't wait to see Finding Dory and Moana now. We left around 7:30 and headed home. We got the girls changed and into bed before settling in to watch some Americans. We called it an early night. Saturday morning, we went to breakfast, but I just had a large latte and a scone which I had to share with my girls since they wanted mine plus their own meal. Isn't that how it always goes? We got home and waited for the garage guy to come over. We have had our garage door for about 4 years and never had it serviced, so we finally got it done. While the garage guys were over, I headed out to have brunch with my friends. The weather was nice, so we were able to sit outside and enjoy the day. We ended up staying at brunch for 2 1/2 hours. 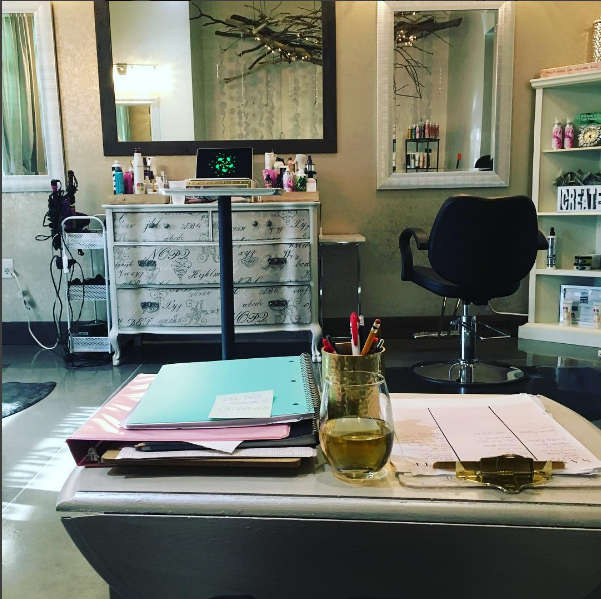 After brunch, I ran to get my rings polished, cleaned and checked out. They are finally back to looking brand new. Then I headed over to the mall to look at a pair of jeans I had seen online, but wanted to try on first. The jeans fit and I even went down a size. Total win!! I headed home and once I got back, the girls were just waking from their nap. We got them ready and headed over to my in-laws house for some takeout Mexican food and playtime with my nephew. Avery ate so much Mexican food that evening and later on we would all pay for that. Once we got home around 8 pm, we put the girls down to bed and watched some more 13 Reasons Why. 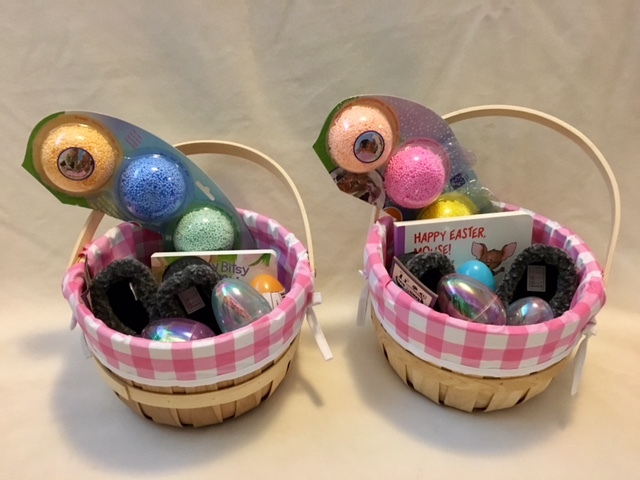 Just as we were getting ready for bed, I remembered I needed to put together the girls' Easter baskets, but then we heard a cough and a gag and knew that someone threw up. Avery threw up all her dinner and it was a TON. We stripped her and her bed and Rory gave her a bath while I started cleaning up all the puke. I had to wash the chunks off everything before putting it in the washer and it was foul. Once I got everything cleaned up, Rory just finished Avery's bath and we got everything put back together for her to go back to sleep. But then Rory and I couldn't sleep because we were worried she would get sick again. We were not sure if she was sick, overate or the food didn't agree with her. So we stayed up until almost 3 am. I should have used this time to put together their baskets and hide eggs, but I just stayed watch on the girls. Avery never threw up again and was happy as can be Sunday morning. But since I didn't get to anything, I had to scramble Sunday morning to get it all done. I got their baskets put together and gave them to them. We didn't hide them this year, but we will next year since they weren't into finding the eggs that much this year. We didn't go all out since we knew both sets of grandparents got them a bunch of stuff as well, and let's be honest, the girls really only wanted the candy all morning. The girls wore their house slippers all day long at home and are obsessed with the floam. We also got them the carrot game I posted about a few weeks ago, but it isn't pictured here. Rory headed out to get some Starbucks for us and I vacuumed since there was some remnants of throw up in the hallway. Then we gave the girls a bath and got ready ourselves. We headed to Rory's cousins house for Easter brunch and had so much good food along with mimosas. We had a bunch of fruit, cheeses, quiche, roasted potatoes, chorizo with peppers and onions and a bunch of pastries and bagels. After brunch, we let the kids all play together and while we all talked. We left around 12:20 and headed home to put the girls down for a nap. They slept for two hours while I did more chores in the house and Rory did some outside the house. I also snuck in an episode of 13 Reasons Why. After the girls got up, we got them ready and headed over to my in-laws house again. The girls were sad that Carson (my nephew) wasn't back yet, but they opened their Easter presents and started playing with them while having some snacks. And then it started raining and we knew we had to get outside for a family photo before it came down too hard. The girls played with their cousin and showed him how to use their new toys. My SIL and BIL got the girls some cleaning stuff since they love vacuuming with me. We gave my nephew a gift and then we anxiously awaited dinner. Walter was at Easter celebration too! We sat down for ham, scalloped potatoes, green beans, salad and my FIL's famous mustard sauce for the ham. Everything was delicious! We had apple pie and ice cream for dessert while the girls helped bathe their cousin. We got the girls in their pjs, said our goodbyes and headed home around 8 pm. We put the girls to bed, unpacked the car and Rory fell asleep pretty fast while I watched more 13 Reasons Why.